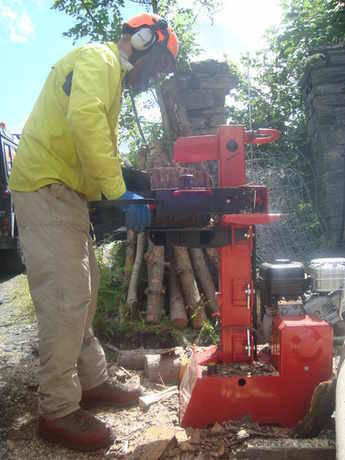 We can now offer for hire a very efficient 7 ton, stand alone, petrol engine log splitter complete with operator for the day! 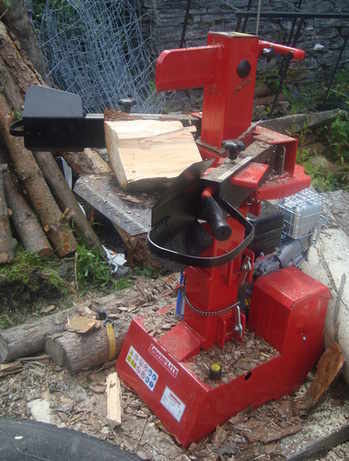 If you have your own wood supply and chainsaw, you will understand the physical effort required to split with an axe a winter’s supply of firewood. So why not sit back and relax whilst we do the hard work for you, saving not only time but wear and tear on your body? The Log Splitter's narrow access and specific design put it leagues ahead of the old school slow, homemade tractor PTO/Hydraulic splitters. Please contact us for pricing & futher details.